• Variable-depth groove insert has deeper grooves in the center are shallower closer to the heel and toe, this equalizes ball speeds across the entire face for very consistent distance control. 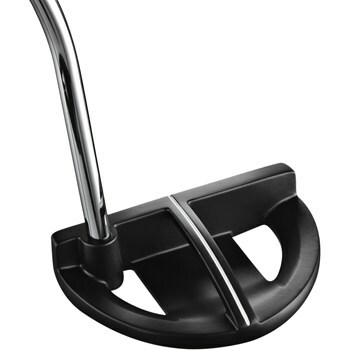 • The insert is made out of A lightweight 6061 aerospace grade aluminum that feels and sounds similar to a traditional steel face putter. • Rich non-glare black PVD finish. • Available in Straight Arc, Slight Arc, and Strong Arc stroke types with a double bend neck.